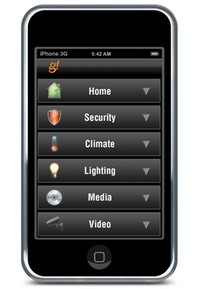 Did you know you can control your entire home from your iPhone/iPad? Click the phone below to find out how. 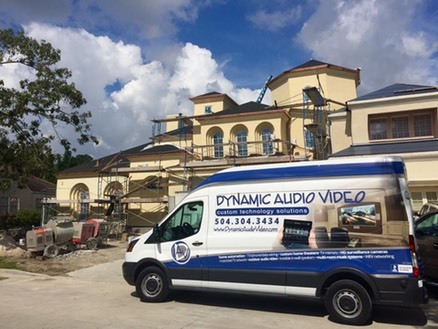 DYNAMIC AUDIO VIDEO is a full-service custom audio video installation company serving the New Orleans metro area since 2001. We offer custom residential & commercial systems specializing in Home Theater, Multi-Room Music, Lighting and Shade Control, Automation, HD Surveillance Cameras, Wi-Fi/Networking and more. Our commitment to design excellence, project management, and innovative installation techniques have continually set us apart from our competition. Working in today's custom homes require the highest level of knowledge, skill, construction & installation experience. Our construction pedigree goes back a long way - so having experienced installation crews and certified technicians is second nature to our existence. With over 40 combined years experience as a Custom Audio Video Contractor you can count on us for all your custom audio video solutions. We are locally owned, licensed, insured, and carry general liability / workers compensation. Our commitment to service doesn't end with the final installation. We stand behind our systems and installations for the life span of every system and will remain your partners throughout the entire process. Unparalleled customer service has established our loyal clientele and collaborative partnerships with architects, interior designers, and contractors throughout New Orleans area for decades. Call us today at (504) 304-3434, or fill out our contact form to schedule your complimentary consultation and we will be happy to assist you in making the right decision.